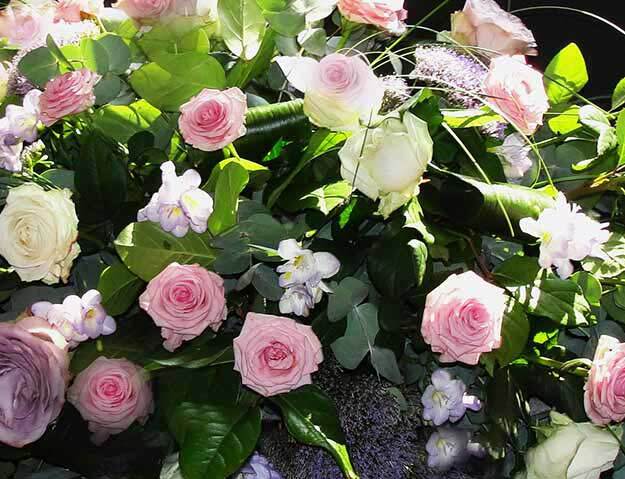 Our professional funeral directors in Crumpsall will provide you with the option to have a simple and dignified funeral or cremation or an elaborate traditional funeral. 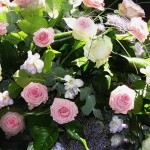 We can arrange a memorial service at any venue you feel is appropriate. For a traditional funeral, we offer a printing service for the order of service booklets and memorial booklets and cards. Because it is in-house we can offer you uniquely designed stationery which truly reflects the memory of your beloved family member. Throughout the design process, we work very closely with the family to ensure it meets with everyone’s approval. We will find the special flowers you want that meant so much to your late relative. Consider for a moment what happens if a family member dies while on holiday overseas. In Crumpsall, funeral directors like us will work tirelessly to repatriate your loved one and arrange a suitable funeral. If you require a church service and burial we have the most beautiful horse and carriage hearse that can be used to take the coffin to the church. If you do not have a church in mind or would prefer a cremation we have our own chapel of rest that can be used for the service. We will arrange a funeral that is dignified and respectful no matter what the budget. We will consult with the family and help them to draw up a budget for the funeral. As funeral directors in Crumpsall, we are committed locals who are not afraid to spend time guiding the family of the deceased. Contact Cope Funeral Service as soon as you need our expert services. We offer our heartfelt condolences when you do but we know that all of us will face this at some time. It is a part of life that comes to all of us. It is never easy and we do our best to help you through this difficult time. The funeral is part of the grieving process and so is very important. Our funeral directors are caring and helpful in all aspects of arranging the funeral. There is nothing that we cannot organise for the funeral no matter how unique.